Quite possibly the most horrible, disgusting, poorly-produced toy I own. He’s a hairy beast, trapped in his own cobbled-together body – screaming in agony, because he’s stuck in this constant state of crappiness. Seriously. The guy looks like a failed prototype of a prototype or a badly-built model kit or something. Another weird thing about this monstrosity is its potent chemical smell. Not only does it stink, but the smell actually rubs off onto your hands when handling this thing. Now that’s a first in my toy collection. Even Stinkor’s stench doesn’t rub off on you. And just look at this awesome toy construction. Now that’s quality. 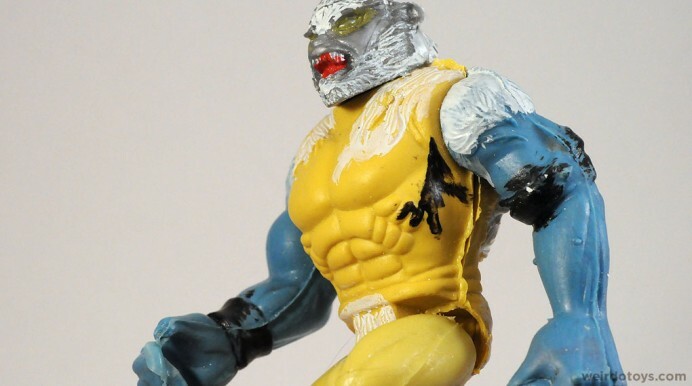 His pieces don’t even fit together properly, and he looks like he was painted by a small child… with a poor motor skills… using a partially-crusted, dry brush from a bottle of white-out. I know this is a bootleg possibly produced using child labor, but c’mon! Teach those kids to paint! Oh, wait! The figure came in a little plastic baggy with a header card and everything. It looks so legit now! 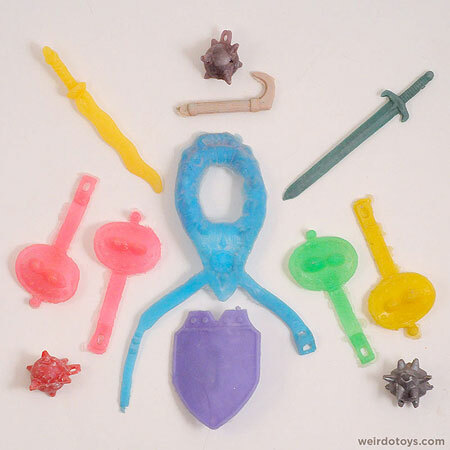 And look at the huge assortment of accessories he came with… which he can’t even use. Wanna know why? 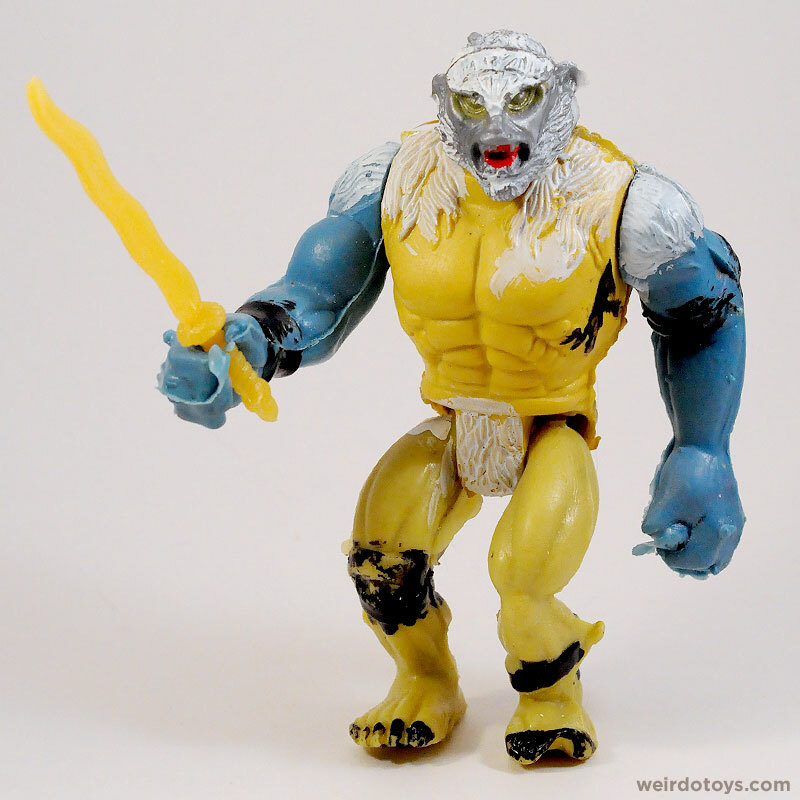 Because most of the stuff was re-purposed from smaller toylines’ accessories – Masters of Universe, Galactic Fighters, Galaxy Warriors, and maybe a hint of Thundercats. Well, at least he can hold the swords… but only in one of his hands. Wanna know why? 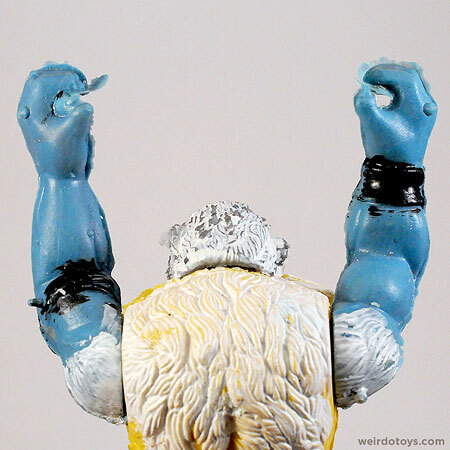 Because the shoddy production processes left him with some much extra plastic flack all over his body, his hands are filled and closed off. Well, there is one saving grace to this figure – that custom package header. Let’s take a closer look. Not bad. I mean it’s crappily printed and all, but it looks awesome. It’s actually an original piece of art – hand-drawn typography and semi-sloppy comic art style. A lot of artists and designers strive for this look. You’d normally expect to see re-purposed packaging art from the original toyline on these Mexican bootlegs. I really like the personality of this piece (I even made it into a desktop wallpaper for you.). 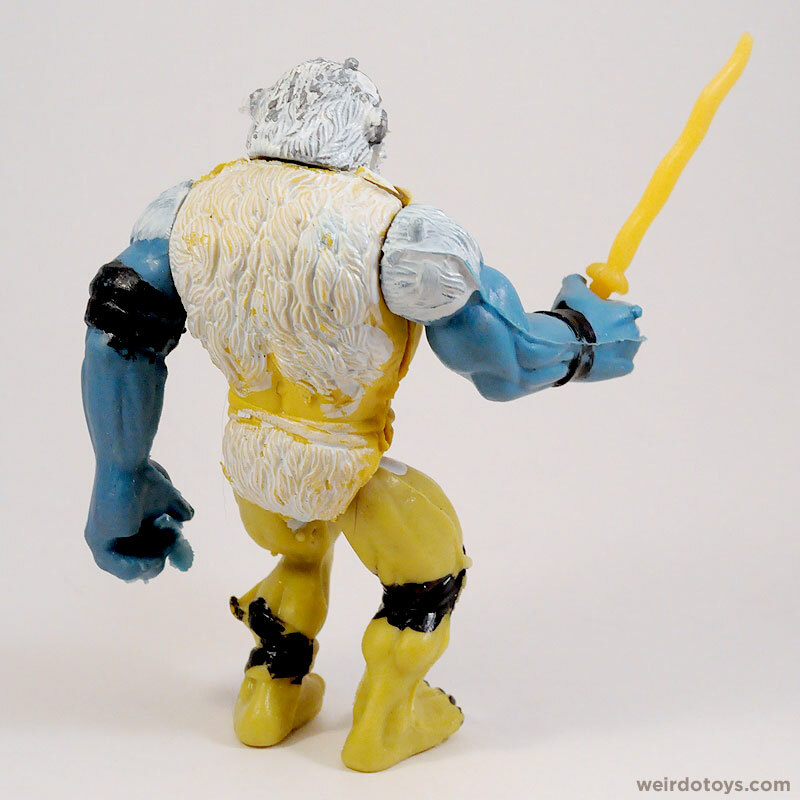 I wonder what the original toyline was. I’m guessing it’s Thundercats. My first clue was the title “Thunder Cast Villanos.” Ha! Plus I recognize some of the characters in the artwork. (From left to right) Looks like we have Monkian, Slithe (who looks freakin’ great! 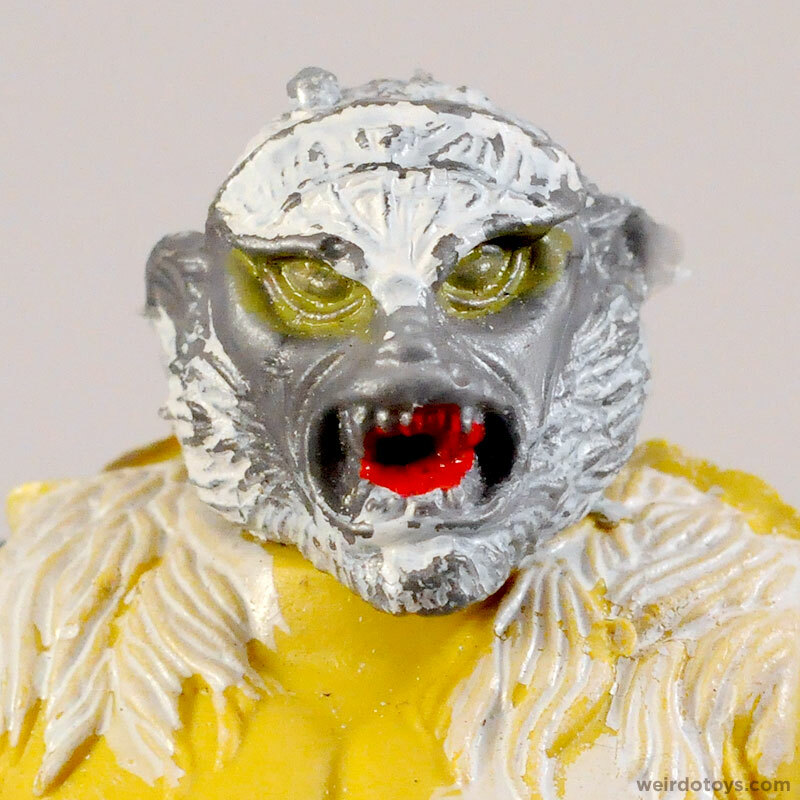 ), Mumm-Ra… and ummm… some wolf guy (is that supposed to be Jackalman?) and… uh… is that Golem from Lord of the Rings? Looks like Vultureman on the bottom though. If you’re one of those folks who’s not even sure who Monkian is, or what the original toy looks like, here’s a pic for you. 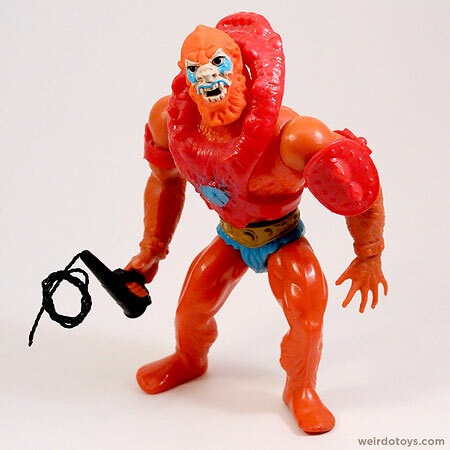 Thundercats’ Monkian photo courtesy of ToyArchive.com. I actually had the original figure as a kid. 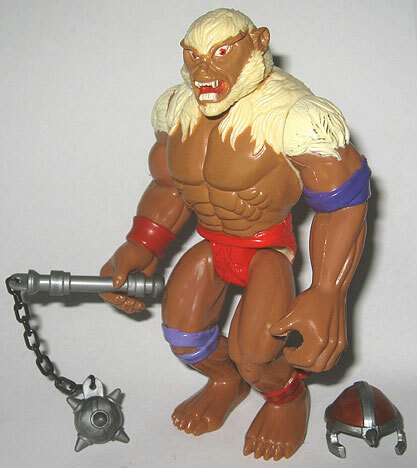 I liked him well enough, but he was never really as cool as all the He-man figures I had him surrounded by. He was a wannabe Beast-Man in my book. Awesomely horrible toy! Glad you like it. I knew for the wedding gift, i couldn’t get you any ol’ weirdo toy. I had to get you the ugliest, gnarliest, crappiest, weirdo i could find. The homemade header card is what really makes it a fantastic find though. 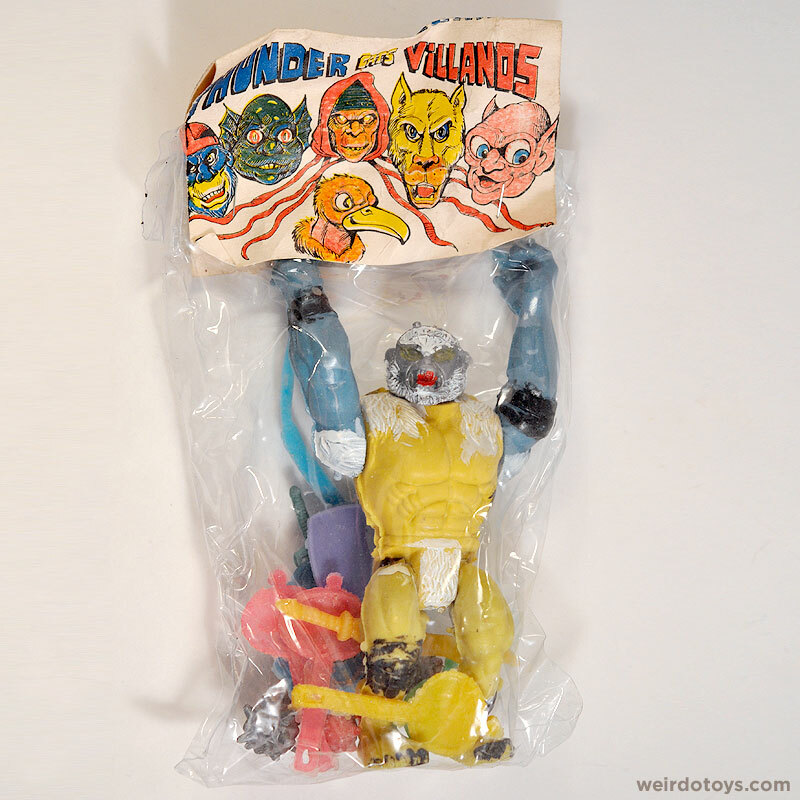 I hope you find the rest of the Thunder Cats Villanos. Now this is some kind of impressively bad bootleg. 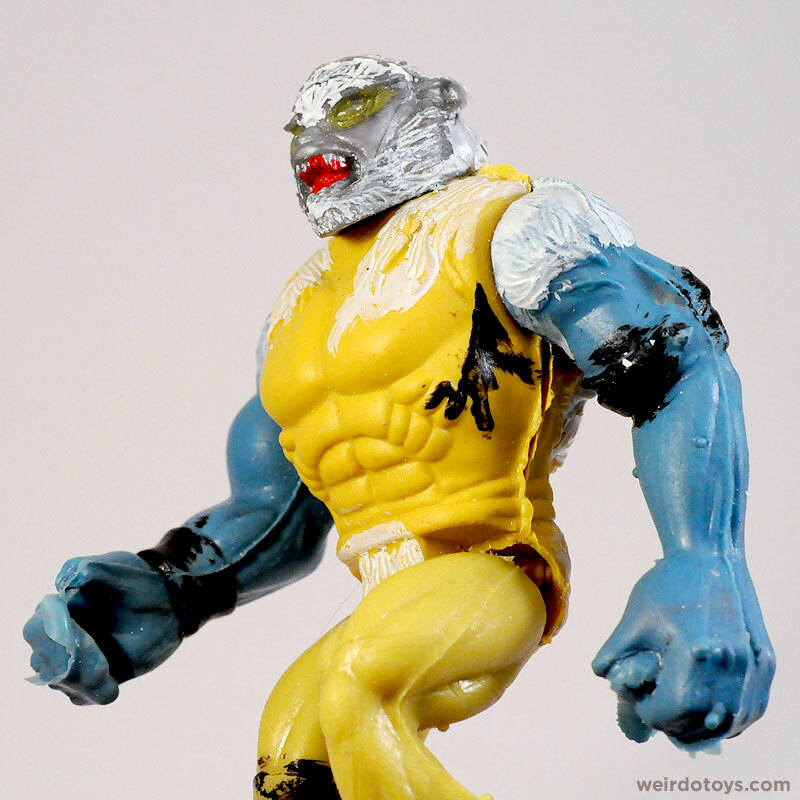 I thought my bootleg Sabertooth from the X-Men was bad… this is all kind of new levels of bad. It goes to “11” on the fugly scale. It’s the Death Star of horrible. It’s the Godzilla of godawful toys. and the bootleg is hilarious!! others hobby. This is truely a crappy toy. 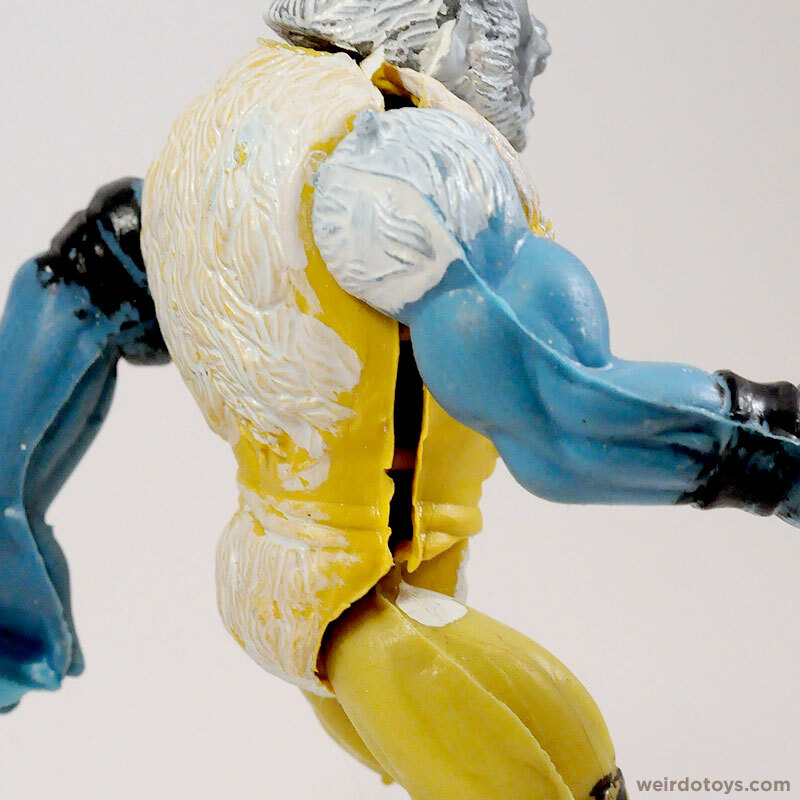 A really gross, weirdo toy PLUS a wallpaper? SCORE! This toy is crap (and I mean that in a good way). The header art is fantastic. I’m sure you have nice a collection of crappy knock off images now. Should that be a gallery as well? The guy on the right of the package design looks like they just decided to draw one of those Magic Monster rubber finger puppets you wrote about (Oct 30th). Don’t recall any Thundercats villains ever looking like that. Ha! I knew I recognized him. It’s all coming together now. 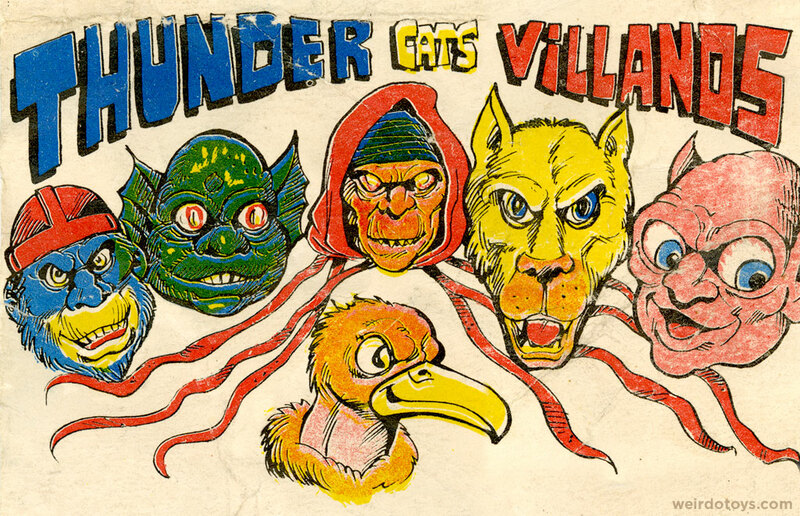 Okay, I’ve been studying that header art, and you have to at least give them a little credit for staying (somewhat) true to the actual Thundercats Villanos. I can easily pick out our main man Monkian, Slythe, Jackalman, Vultureman, Mumm-Ra…and…who’s that guy on the far right? It looks like a happy version of Gollum from LOTR. By the way, if your boss smelled chemicals on you and asked where the stench came from, I’m trying to figure out if “Oh, don’t worry, I was just playing with the worst bootleg toy ever made” would be grounds for firing. That is one crappy toy. Ugh. Woof. I’m almost speechless… breath-taking gross-ness. That is just brilliant. 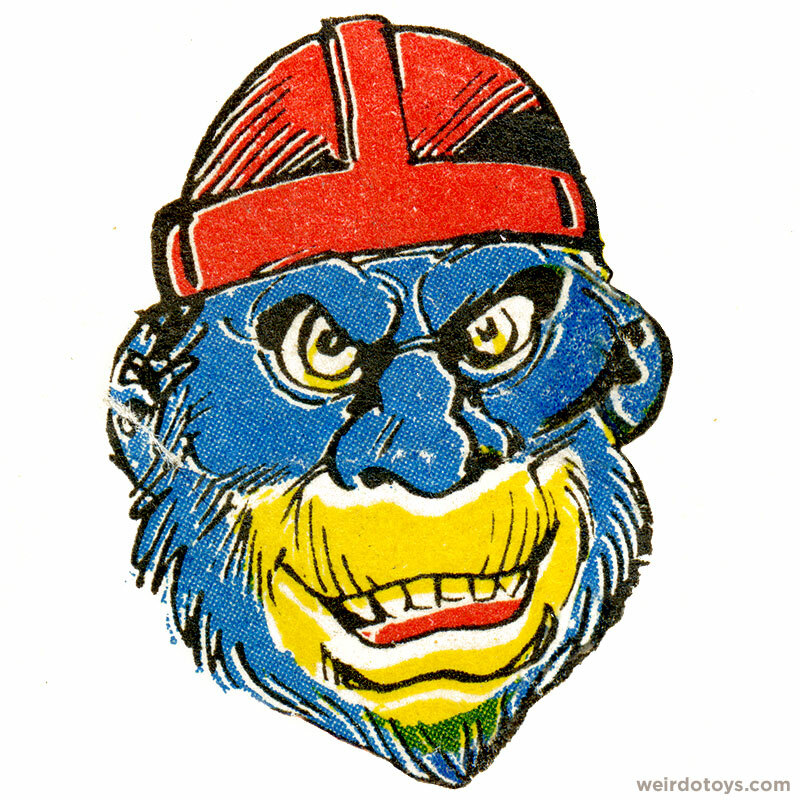 Glad someone else thinks the guy on the far right of the card looks like one of those rubber face things. But why is there a duck on it? That thing is all sorts of horrible. It’s like they sent someone to the nearest Toys’R’Us to take a look at the original, and he then described it to a blind man, who in turn related it to the blind child workers. You could use it to scare little children. And probably poison them too. I hope you wear a hazmat suit when you’re in the same room with it. I’ve seen some terrible knock-offs in my time, including some god awful Mexican Mumra’s and Lion-O’s.. but this hands down beats em’ all!! the card art seems to be borrowed from the old Thundercats STAR/Marvel comics.